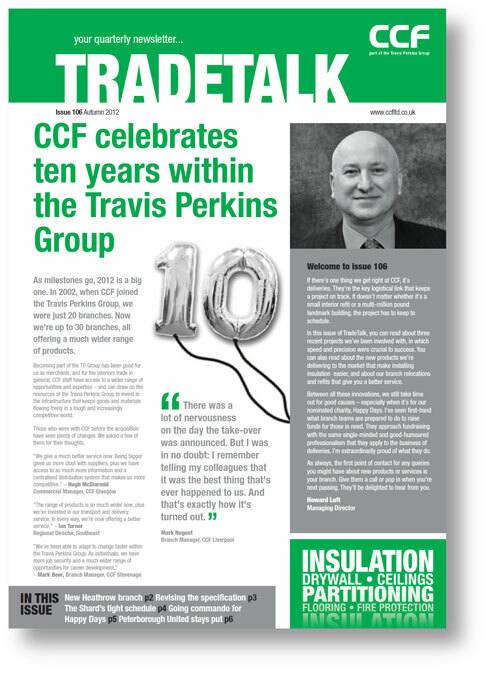 CCF is the division of Travis Perkins that supplies building materials to specialist interior fitters. We’ve been writing and editing its newsletter TradeTalk for many years. They give us plenty of freedom to tease out the most engaging angle for a story. 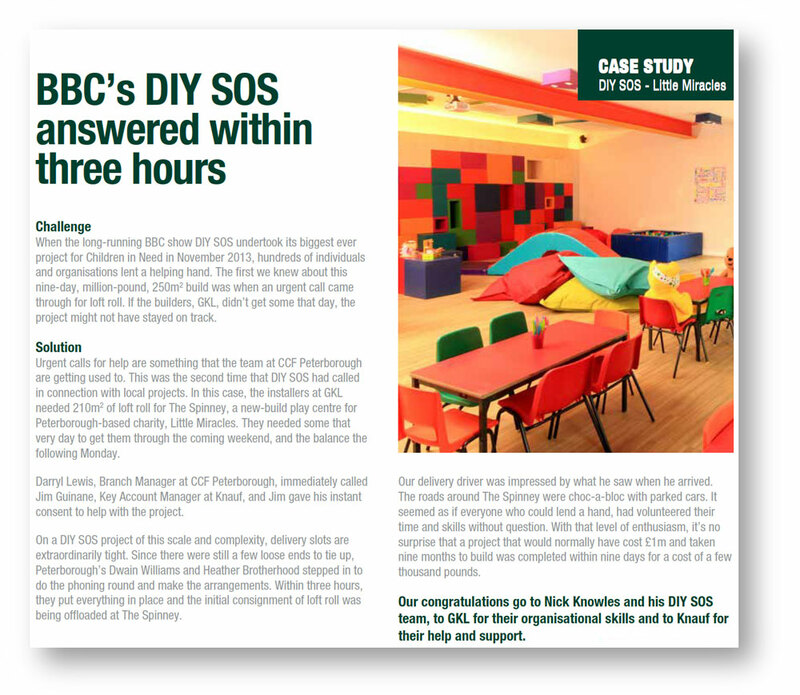 We interview customers for case studies, talk to directors about business developments, and chat with branch managers to find out what’s happening in their branches.